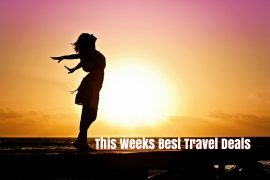 In my best travel deals this week I have a last minute deal to the 5* Hard Rock Hotel Ibiza, a night in Dublin with a ticket to Ms Saigon, a winter break in Malta, luxury for less in Thailand, an Asian cruise and early booking offers to the Costa del Sol and Dubai. Always wanted to go to Ibiza? Do it in style and stay at the 5* Hard Rock Hotel. Fly from Dublin on the 19th of October and enjoy a seven night stay in a deluxe room from only €420 per person! Want to escape the madness of Halloween? Check in to the 4* Mespil Hotel in Dublin and enjoy an overnight stay and a ticket to Ms Saigon in the Bord Gais Energy Theatre from only €98! Select 31st of October in the drop down menu and you will see a variety of hotels available. Falcon Holidays are offering tons of free child places for next Summer. With a low booking deposit, and flights, baggage and transfers included in the price, it’s a stress free and easy way to book your family holiday! Fly from Dublin to the Costa del Sol on the 1st of July and enjoy a seven night stay at the Globales Cortijo Blanco near Puerto Banus, for only €2350 based on 2 adults and 2 children sharing. This is an all-inclusive hotel so all meals and drinks are included too! Cruise from Hong Kong to China, Vietnam and Japan on Royal Caribbean’s Ovation of the Seas from only €1299 next Summer. Price includes flights, 1 night in a 4* Hotel in Hong Kong and a ten night cruise on a full board basis. Upgrade to a balcony cabin for an extra €200! Koh Yao No is one of Thailand’s best kept secrets. Located an hour by boat from bustling Phuket, yet world’s apart. Spend a seven night stay in a jacuzzi studio with an free spa treatment per person for only €1039 per person. 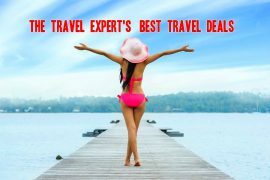 Price includes flights and transfers. Grab an early booking offer to Dubai next Summer! Fly direct with Emirates from Dublin on the 10th of May and enjoy a three night stay in the highly rated Arabian Park hotel for only €459 per person! 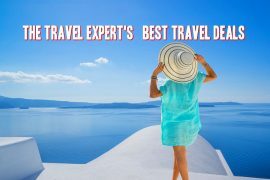 Previous article4* Gloria Palace Amadores Hotel with Flights, Baggage & Transfers, 1 week, 3rd May, €699!